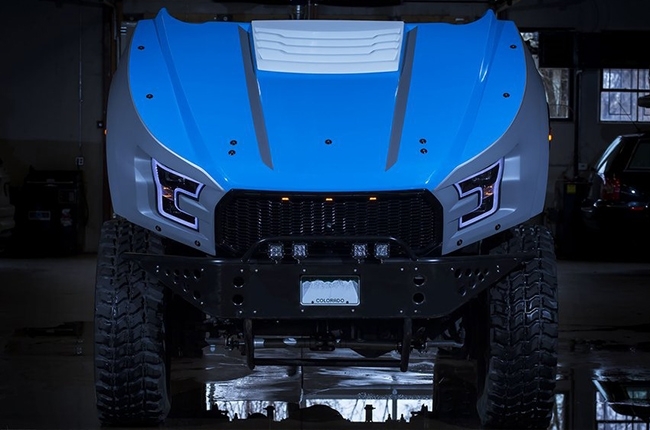 It’s the Megalodon of all Ford Raptors. When it comes to pickup trucks, Ford surely has a collection that caters all variations. From the Ranger, its smallest one, up to the most monstrous ones like the F-750 medium-duty pickup. And, to make things even spicier, there is the Raptor badge to separate the tough trucks from the serious brutes. Speaking of the Raptor, the Philippines has recently seen the Ranger Raptor out from its covers, albeit, in its regional launch in Thailand. It was a glorious, highly-coveted pickup truck to our eyes...until we found this video over the internet. Well, forget the Ranger Raptor, this is the F-350 Mega Raptor and it freaking looks as if it wants to devour some Priuses that would get in its way (which it kind of did in the video embedded below). 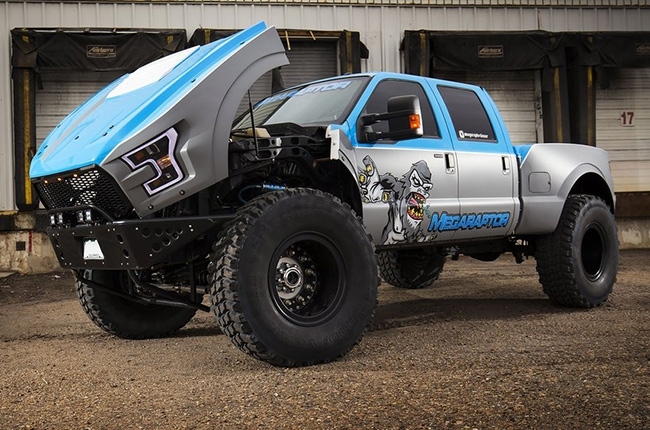 A truck custom company in the U.S. known as Defco Trucks, had a wild idea to inject the Ford F-350 with ‘Hulk steroids.’ The product didn’t end up nice, as the Mega Raptor F-350 is indeed far from being ‘nice.’ Call it ‘nice’ and wait till it drive up and across your car from the rear end with its 46-inch tires – good luck. It’s the Magalodon of Ford Raptors and it’s now our official dream pickup truck. This F-350 sports a complete Mega Raptor Body with custom Defco fabricated bumpers, wrapped with a jet gray and sky blue vinyl wrap. The gigantic wheels are composed of 46-inch Goodyear Tires on powder-coated rims with true hub-centric wheel adapters. And, if you’re, in some way, tired of having healthy eardrums, set them ablaze with the $12,000 worth of BCONCEPTS Stereo System made up of two 10-inch TW3 subwoofers and Alpine PDX V9 5 Channel Digital Amplifier. Standard F-350 trucks are fed by a 6.7L PowerStroke V8 engine (codenamed ‘Scorpion’) that produces 450 hp and 1,267 Nm of torque. 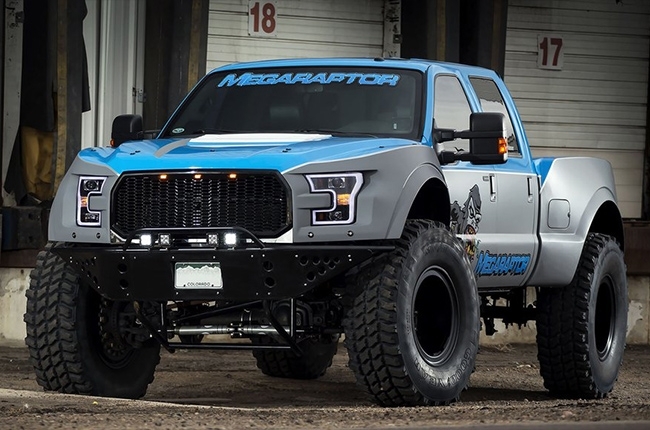 However, in the video, Cleetus McFarland stated that the Mega Raptor has 1,898 Nm of torque. We’re quite not sure what the final power output is but do consider that this build has Precision Turbo 6466 Gen 2 CEA Turbocharger upgrade. 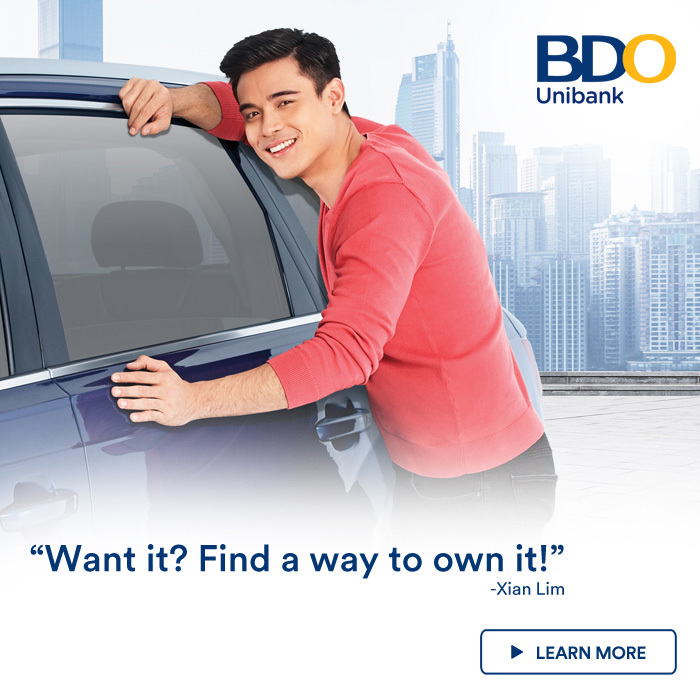 If you want to find out how powerful it is, you can actually do it yourself. Defco is giving away this truck via sweepstakes so if you want to go give it a try, visit their website.